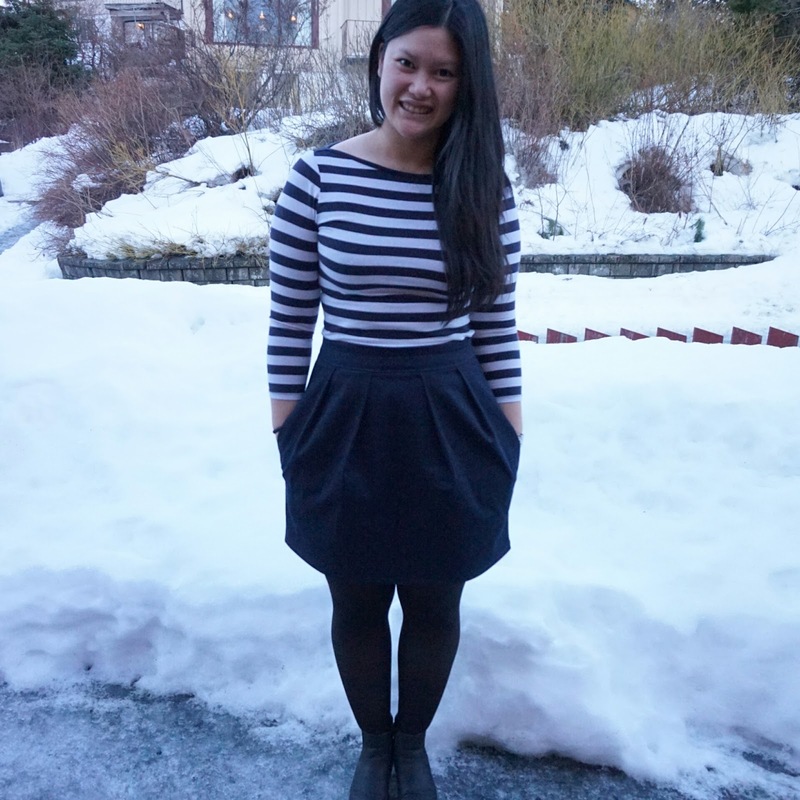 Pattern: Tulip skirt from Sew Over It. I love this skirt. It’s form fitting, flattering and above all I didn’t need to grade the sizes and do a bigger size around my hips then my waist! First of all I made a a size 10. It fit me well, but it was a bit to snug around the waist. So I’m giving it to my lovely sister. Luckily I had enough fabric to make another one, so this one is a size 12. I didn’t have to make pockets at all because it came with the pattern, inseam pockets. 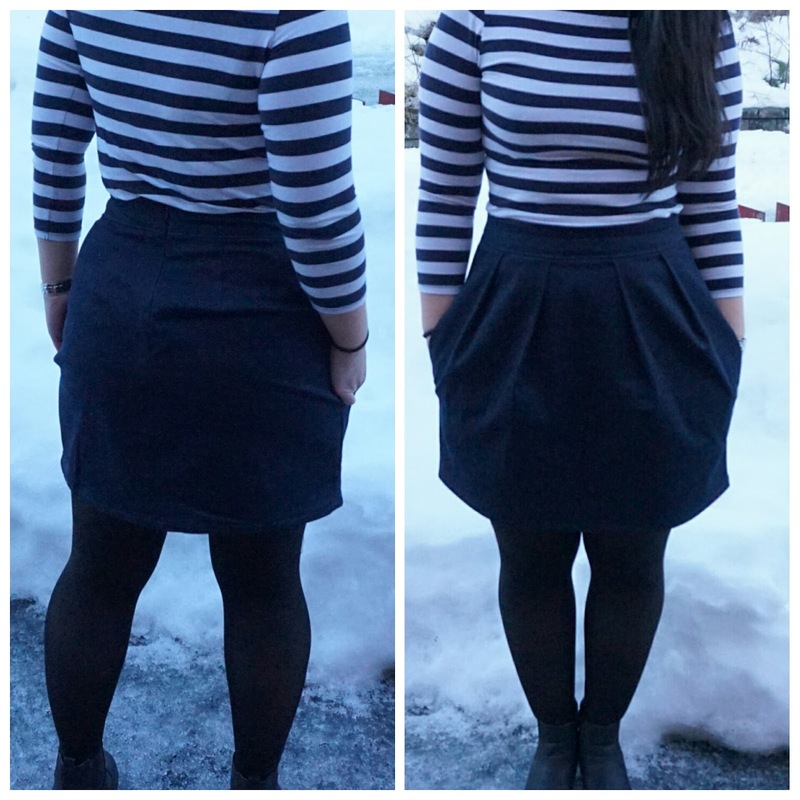 I like the way that it is a pencil skirt silhouette at the back and pleats in the front. Pleats in the front makes it a really good skirt for eating in. Not showing ANYTHING! That’s the best, right?! I’m sorry about the quality of the pictures, the lighting from when bf and I have time to take them is horrible, but you can see the skirt which is the point after all. More coming up soon! Including a very versatile shirt!